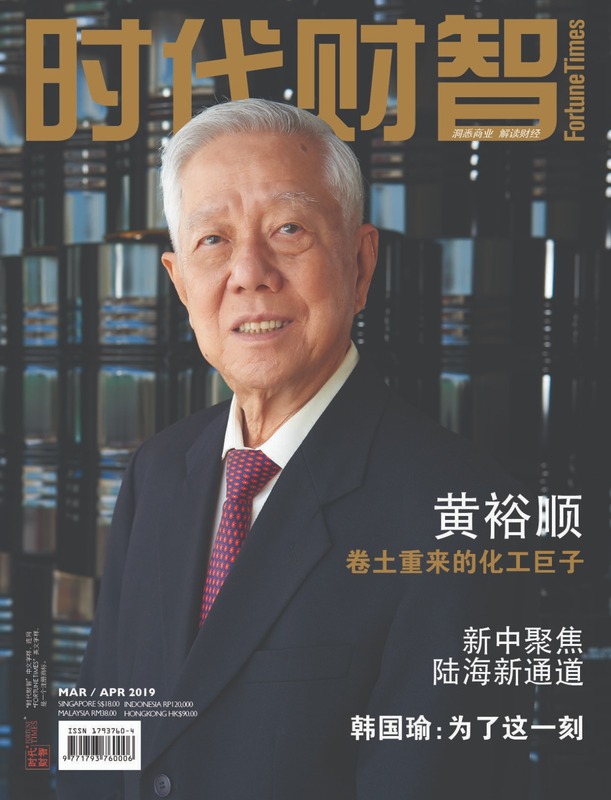 Shakespeare once wrote, “Frailty, thy name is woman!” However, in the eyes of Dr Della Suantio, the spouse of the late Dr Lee Seng Gee, this is certainly not true. She believes that women can be as strong as men in their own quiet and gentle way – inner strength is sometimes more powerful than physical force. This November, Dr Della Suantio, the founder of the D.S. Lee Foundation, accepted an exclusive interview by Her Times, and she shared her experience in, and personal philosophy about, the journey of life, marriage, and philanthropy. Her Times: What are some of the memorable times you had with the late Dr. Lee SG? Could you share those precious moments with our readers? Della: It is hard to pick any particular moment as our lives had always felt so special. Even ordinary moments which I shared with him are precious and memorable. We had many memorable moments and certainly there are some significant ones. One of the most memorable was when Seng Gee held my hands and looked into my eyes while singing romantic love songs to me. Wherever we were, for instance, in the car, walking, reading, working together, singing, he would be holding my hands. His grips were very strong, as if he never wanted to let go. Those were beautiful moments ….. I shall forever cherish them to eternity. Her Times: You got married in 1991, but Dr. Lee SG was quite bedridden during last 10 years. We know you spent a lot of time looking after him. Considering how else you could have spent this decade, how do you feel about your decision to marry Dr. Lee? And if you were to choose again, would you make the same decision? Della: Without a doubt, I would do it again. Being able to support him during this period was my joy and privilege. While it has not been easy, it was my expression of love and devotion to him. In addition, as I was trained as a medical doctor, it seemed as if it was a divine arrangement for me to look after him. Things happen for a reason. I wanted to be with him in sickness and in health, share laughter as well as tears, and stay by his side for the rest of “our lives together”. I am pleased to be able to fulfil my duty as a wife and look after him to the best that I possibly could, especially at the time he needed me the most. There is no question of regret. 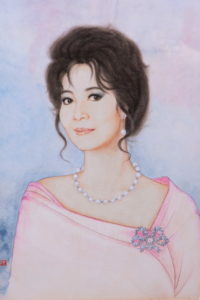 Her Times: Dr. Lee SG was born in a big and reputable family. How did you manage the image of being ‘married to a man, married to a family’? Della: What we have between the two of us was truly special, even it was in the context of a big family. There was joy to be in a big family but ultimately love is between two people. We understand and support each other, we cannot ask for more. When a woman is married to a man, or a man is married to a woman, it means that GOD has added an asset to the family. Family is important. We had very close family bonds. Though Seng Gee was not well, he was not totally bedridden except for the last yearbefore he passed on. Hence, we celebrated his birthday, as well as Christmas and Chinese New Year every year so that our family and friends could meet up, and get together. Her Times: Please share with us how you both worked so well together? How did you both compromise on differences and opinions? Della: Mr Lee was a very gentle and reasonable man. He was very wise in managing our differences. I loved him for that and also gave in when necessary. In marriage, having a difference of opinions can be healthy. It allows us to keep our own individuality and at the same time create room for interesting conversations. We both believe that, while it was important to speak our hearts, it was more important to listen. Her Times: In Chinese culture, the common values held to be ideal for women tend to be out of date in modern society. Do you think it is possible to integrate such ideas in society today? How do you think the greater availability of education for women has impacted our success as a society? Della: I strongly believe in education in helping to develop society and paving the way for social progress. As a result of the greater availability of education for women, women are getting more opportunities to succeed and be equal to men in any accomplishment. We need to recognise the full value of women and encourage women to step up to their place in the global community. The greater availability of education for women has indeed brought positive improvement to the success of our society today. With good education, women possess greater potential of higher income and they are able to contribute greatly to the world economy. At the same time, not all traditional values are irrelevant or outdated today. 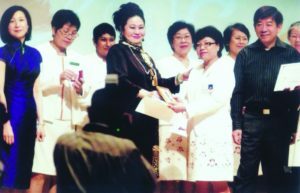 Some common values which are held to be ideal for women in Chinese culture – such as benevolence, righteousness, courtesy, loyalty and filial piety – remain important and desirable and should be constantly promoted and inculcated in all. Her Times: How do you think the image of marriage has changed in the modern days? With an increasing rate of divorces and single parents, is tradition necessary? 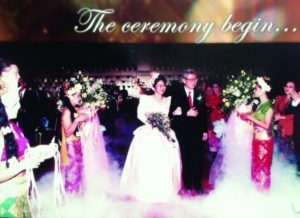 Della: Marriage is an important family institution – it is a sign of commitment between two people in love. It is not easy to keep a marriage together and it needs a lot of effort to do so with love and commitment. Marriage is an evolutionary tradition that is guided by legal principles. It’s no secret that marriage is a lot different today than it was in the past. Change is inevitable, and as time progresses, each new generation of married couple has to navigate a fresh set of distinct challenges and parameters. Having said that, every individual has their unique life experiences. While there are research findings to prove that a happy marriage leads to positive well-being and life-longevity, this does not mean that single parents are less happier than married couples. Her Times: As a woman, is it difficult to manage change or uncertainty, especially in a male dominated society? Della: I believe a woman must be adaptable and clever to manage change. But more importantly, she should be true to herself and her values. Although our society is largely male dominated, we can actually see a lot of differences if we compare between now and then. Today, we have many women leaders in Singapore. One very good example is our dear President, Her Excellency, Madam Halimah Yacob. Despite the challenges, a woman who accepts leadership and responsible roles usually develops strong will (tough skin) and chooses to persevere. If a woman can prove that change is good for betterment, certainly she would be able to garner support from the people around her. To succeed, in spite of adversity, says a lot about a woman’s character and tenacity. 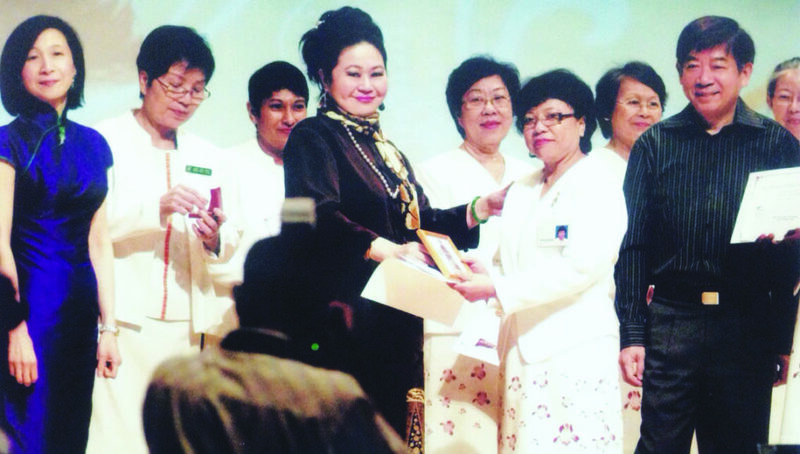 Her Times: You made a donation of S$1M on the memory anniversary of late Lee SG. Why you chose to make this donation? Della: Mr Lee inspires me all the time to give back to the society and this is the best way to honour and remember him. This is also an expression of my gratitude to all the doctors, specialists, and healthcare personnel who took care of Dr Lee SG – the team of MOH, BME, HSA, DDR, MMD, Singhealth, Mt Elizabeth and Gleneagles and some private clinics. They were devoted and were ready to offer assistance and help 24/7. In particular, the medical team who were with Mr Lee SG served him with utmost dedication and love. The donation was made in honour of all these committed professors and doctors. It is also recognition for those who recommended that I support LSG Appreciation Fund for Faculty Development (Medicine) and LSG Medical Bursary perpetually. Her Times: You established D.S. LEE Foundation in 2004. How challenging is to manage this organization after the passing of Dr. Lee? Della: I miss his opinion and guidance but he has taught me enough over the 25 years to allow me to manage the Foundation. I also have very clear ideas what I hope to achieve with the Foundation. Her Times: What has D.S. Lee foundation achieved in past 13 years? Della: We have given a lot to worthy causes such as nursing and healthcare. I am looking to expand our support in areas related to nurses. D.S. Lee Foundation works closely with the Ministry of Health to understand the needs of the healthcare sector. My Foundation is funded fully by my personal funds and my own company, DSLSG Investment Co. We like to support these worthy causes from the bottom of our hearts. Her Times: We understand that philanthropy is to give. What is the satisfaction of giving? How challenging is it to make a decision? Is it a lonely journey? Della: I have advisors to help me make giving decisions. But, ultimately, the decisions lie with me and I have to decide the directions of the Foundation and how best to help when others come calling. 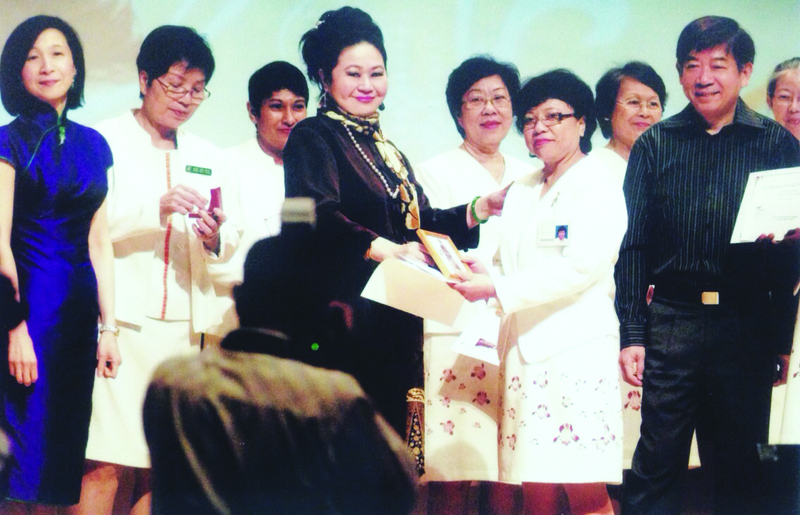 The TCT Enrolled Nursing Award was presented by Dr. Della, D.S.Lee Foundation. We do not expect any reward but knowing that I can make a difference is a big achievement. This is a value I strongly share with Mr Lee. I would hope to be able to continue to give back to the society as much as I can. At the same time, philanthropy is not about giving alone as a lone donor or benefactor. We can, and should, not be travelling alone on this journey. We all share it together. 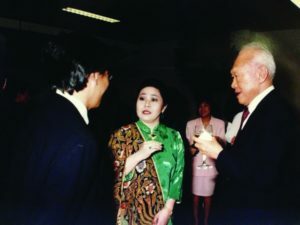 In one event, Dr. Della Suantio was having a conversation with the late Mr. Lee Kuan Yew, the founding Prime Minister of Singapore and Mr. Koh Boon Hwee, the previous DBS Chairman and then NTU Chairman. 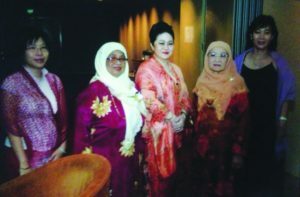 In 2005, on the occasion of Hari Raya Dinner & Tribute to Dr. Lee Seng Gee, Dr. Della Lee (in the middle) flanked by Ms. Sharifa Kasami and Mdm. Zainab Khalid and two other guest.